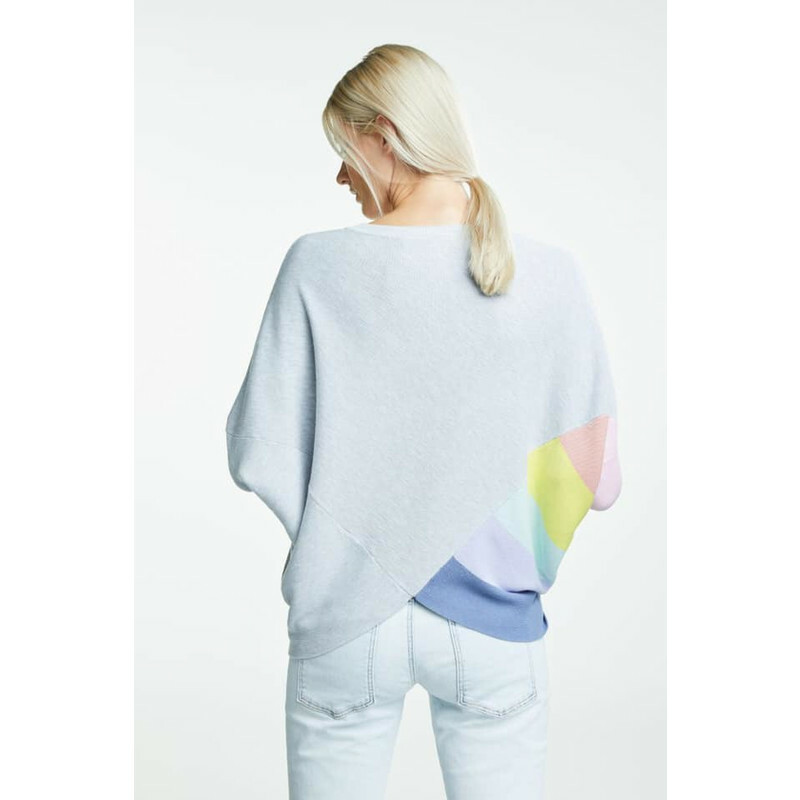 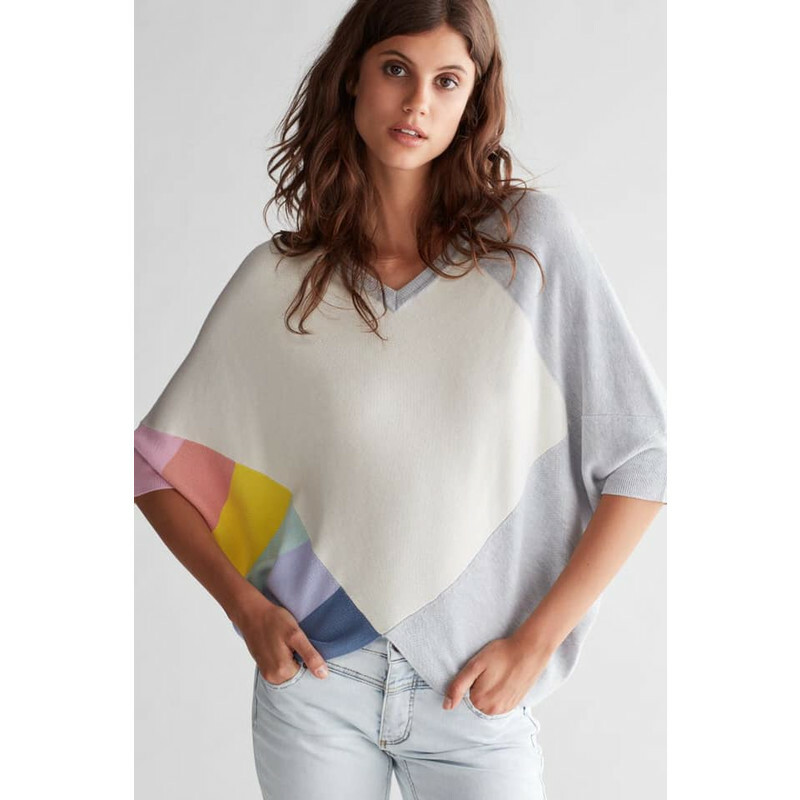 Rainbow Batwing Jumper from Oui is a short sleeved V-neck jumper with a V cut hem detail front and back. 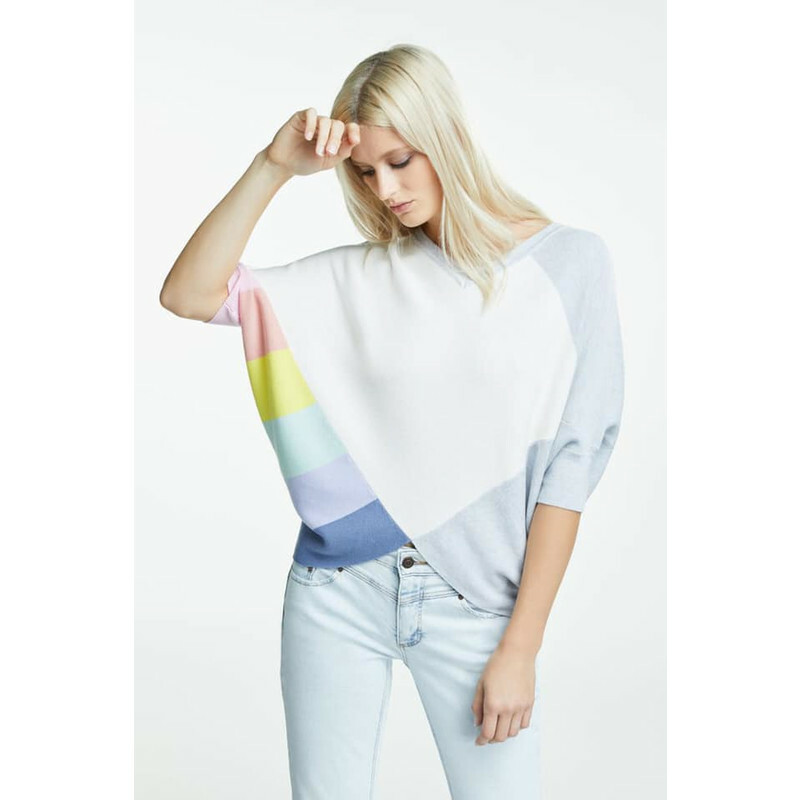 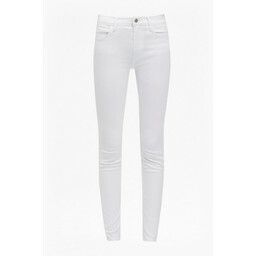 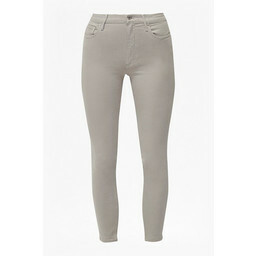 Multicoloured stripes on one side add beautiful colour to be worn with your favourite jeans. 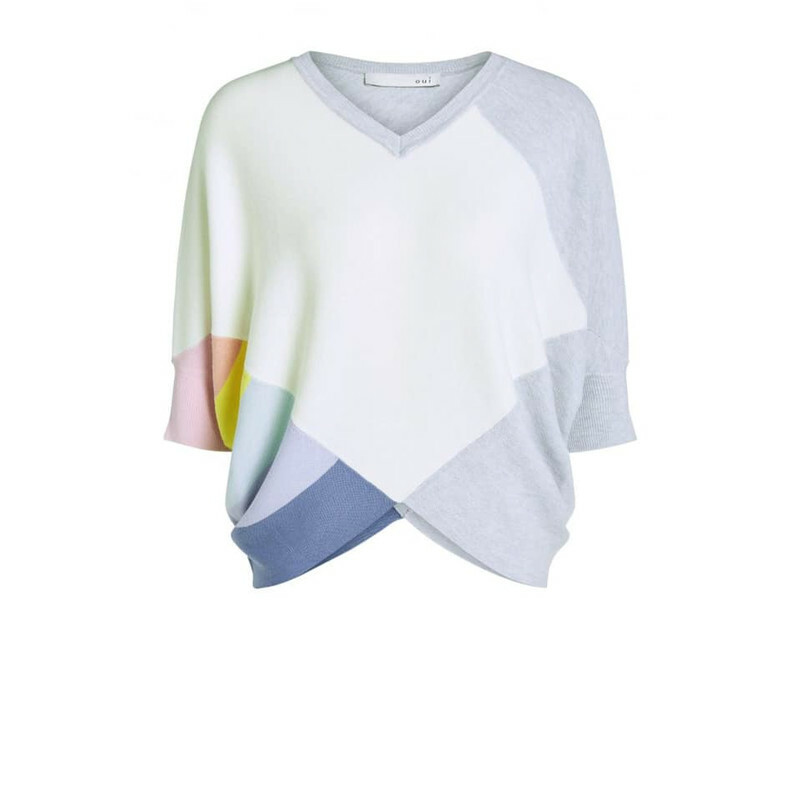 50% viscose 40% cotton 10% silk.